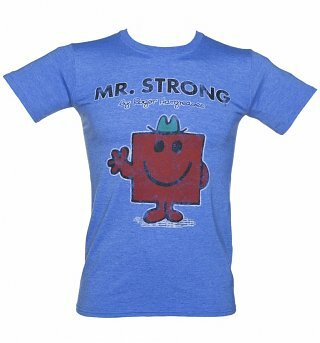 Customer Reviews of "Men's Blue Marl Mr Strong Mr Men T-Shirt"
Beautiful product and speedy delivery! Lovely. Sadly was a size two small so going to order a bigger size. Great products. bought as a gift, very pleased. The tee is for my husband who is really skinny but surprisingly strong, so not totally an ironic buy ;) It arrived so quickly. The feel of the material and the colour has a wonderful retro faded vibe. It\'s not his birthday yet but I know he\'ll love it. Many thanks. This was my first purchase from Truffle Shuffle but I know it won\'t now be my last! Sharon.